Here Are the Most Walkable Cities in the U.S.
We've already shared which cities should be on your radar if you're thinking of ditching your car for public transit. Now the George Washington University School of Business and advocacy group Smart Growth America have released their new findings on where to move if walking is your preferred mode of transportation, Fast Company reports. 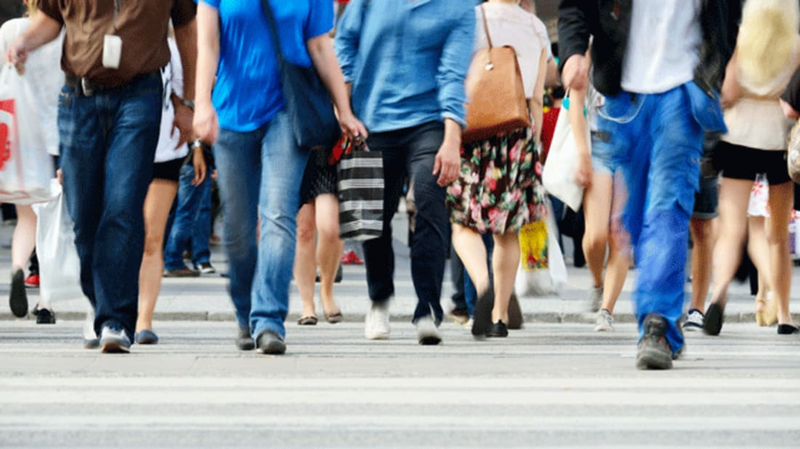 The report measured the "walkability" of America's 30 largest cities by looking at the proportions of walkable occupied office, retail, and multi-family development space relative to other occupied square footage in the same area. Perhaps unsurprisingly, New York City came out on top even though 80 percent of its walkable areas are concentrated in the single borough of Manhattan. Other top-ranking cities included Washington D.C., Boston, Chicago, San Francisco, and Seattle. They also named the cities you should avoid if you're looking for more opportunities to stretch your legs. San Diego, Dallas, Las Vegas, Tampa, San Antonio, Phoenix, and Orlando were ranked at the bottom of the list. It's easy to see how walking can have a positive impact on your health, but as the report found, living in a walkable neighborhood offers other benefits as well. Moderate income households living in the highest ranked cities devoted just 19 percent of their budget to transportation, compared to 27 percent spent by those in lower ranking areas. Other positive correlations: most walkable cities were also shown to be wealthier, more highly educated, and more "socially equitable" overall. If you aren't currently living in a city that's especially easy to navigate on foot, there's still hope for the future. Cities that show promise for becoming walkable destinations down the road include Detroit, Phoenix, Los Angeles, St. Louis, Miami, Atlanta, and Cleveland.